Rotterdam, the city of waters, is known to have one of the busiest harbors in the world. 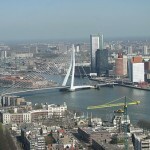 The first thing that strikes you when visiting Rotterdam, after seeing many other cities in the Netherlands, is that Rotterdam is different. How come? In 1940 Rotterdam was heavily bombed, and the entire city needed to be constructed again afterwards. Because of this, the city has a more modern look, more skyscrapers and more shopping centers. This is a wonderful tower located by the sea. It was built in 1960, and the highest point is at 185 metres. A trip to the middle of the tower is cool, but it gets really exciting traveling with the Euroscoop to the top of the tower. 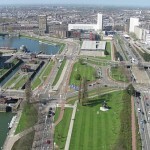 It gives a stunning overview over the harbor and Rotterdam. In Museum Boijmans Van Beuningen you can travel through the history of art, from the Middle Ages to the 21st century. From Bosch, Rembrandt and Van Gogh to Dalí and Dutch Design. Gauchos can be found everywhere in Holland, and also in Rotterdam. 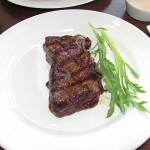 They have delicious food, good service and nice prices. 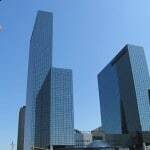 It is located in the centre of Rotterdam, near shops and stores. 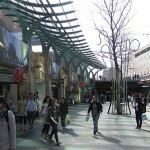 Enjoy walking along/in the Beurstaverse, or Koopgoot, a shopping street which looks really nice with its two levels! 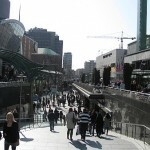 There are also quite some shoppingcenters around, so if you have missed them while travelling around in Holland, you will find them everywhere in Rotterdam. 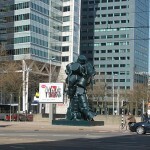 Rotterdam has also got a zoo, some more museums, funny buildings and statues. The city is famous for the Erasmus Bridge, and it gives home to the football club Feyenoord. 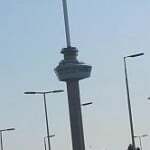 We wish you a great day in Rotterdam.